CEOs who want to make substantial and sustained improvements in earnings growth should focus relentlessly on championing small-unit leadership. When it comes to getting continual increases in earnings-growth, think of what my infantry company commander in the Marines said: "Generals move pins on the battle maps, but small-unit leaders win or lose the battle." I was a platoon commander at that time and his words were burned into my leadership soul. I submit that those words can be translated to business: Small-unit leaders are an untapped gold mine of earnings-growth. Clearly, big-picture strategy is key to business success. CEOs must move with skill and precision the pins of capital and human resources across whatever competitive maps they confront. But often CEOs, so intent on the pins and maps, lose sight of who actually must get the job done — small-unit leaders. Small-unit leadership operates at the vital nexus where the value of a company intersects with the reality of the marketplace. Without good small-unit leaders — supervisors and first-level managers — organizations eventually stumble, no matter how skillfully the top leaders develop strategies and tactics. Many CEOs neglect small-unit leadership. Time and again, in company after company I've worked with, I have seen technologists promoted off the line to be supervisors, salespeople made local first-level managers; yet they were not given substantial help in developing their leadership skills. Instead, the CEOs of those companies focused persistently on right-sizing, down-sizing, reengineering, acquisitions and divestitures. Sure, pin-moving in many companies can temporarily boost investor value. The pin-pros might look like heroes to many investors. But I wonder how well-positioned those businesses are to achieve consistent earnings' growth over the long haul without skilled, small-unit leadership. Earnings' growth rests on a tripod: one leg, strategy; the other leg, resources; the third leg, execution. Small-unit leadership should be involved in all three. RECOGNIZE: CEOs and senior executives must recognize the importance of small-unit leadership. Many CEOs are so riveted to strategic considerations that they ignore the opportunities of such leadership. And when leaders are ignored, they become inept. Until CEOs make such recognition, small-unit leaders can only put down roots in stony soil. DEMONSTRATE: CEOs just can't pay lip service to small-unit leadership. They must take concrete actions to demonstrate that they recognize its importance. Demonstrated commitment to small-unit leaders will lead to committed small-unit leaders. Without top-down commitment, effective small-unit leadership will not flourish throughout the whole business but exist instead in relatively ineffective, scattered islands. CEOs demonstration of recognition must include: encouraging the development of small-unit leaders, celebrating their achievements, measuring their small-unit leadership-performance, developing compensation that is tied to such performance, and developing training programs that constantly bring small-unit leaders to ever higher levels of excellence. But top-level commitment, though necessary, is not sufficient. CEOs must not only drive small-unit leadership down throughout all levels of their organizations; but they must also enable the recognition and demonstration of such leadership to come up from the ranks. A passion for small-unit leadership must soak the entire culture of the organization. Excellent small-unit leaders don't just happen on the scene. They must be cultivated. Their leadership skills must be spotted early in their careers. They must have mentors. They must be mentors. Small-unit leaders must understand that they are not leading well until the people they lead are leading well. CHALLENGE: CEOs, as well as all other employees, must have high expectations for small-unit leaders and must hold those leaders to those expectations. A successful executive told me that his career was changed by a small-unit leader who held him to high expectations. At one time, the executive was a high school dropout working on the assembly line. "During breaks, I always had people gathered around me," he said. "I had this knack of getting them interested in what I had to say. One day, my supervisor told me something that changed my life. He said, 'I've been watching you with people, and you're a natural leader. With more education, you could go far.'" The executive said, "Until then, I never looked at myself as a leader. Suddenly, I had a vision in life. I was something I didn't know I was: a leader. I finished school, went to college and came back here. "That supervisor's passion for leadership defined my career. He was always spotting potential leaders and challenging them to become leaders. His teams consistently racked up the numbers because of his leadership — and the leadership of those that he challenged to be leaders." When CEOs realize that investor value is driven not just by strategic considerations but also by the heartfelt actions of skilled, small-unit leaders, when CEOs link their strategies, processes, and resource-allocations to furthering the effectiveness of those leaders, they'll be positioning their companies to drive continual increases in earnings growth. 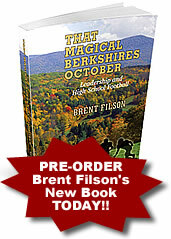 2010© The Filson Leadership Group, Inc. All rights reserved.